Answer these questions and think of a solution for the best bank for your requirement. How many of you are frustrated with your home loan lender? Either for a loan disbursal or for a balance transfer or the most important for the higher interest rate changes!! Frustrated with your lender? Your lender doesn’t reduce your loan interest rates? Chill out…Loanyantra is the solution. How many times do you postpone going to a bank for a balance transfer and doesn’t go because you didn’t research which bank is giving lowest interest rate or which bank charges less on the balance transfer? How many office hours do you spend to visit the bank on your home loan work? How many of you didn’t research before taking a home loan and now taking the pain? How many of you dream of closing the home loan fast but don’t know how and when? Do you know, 50% of the people in India use banking portals. Out of which 40% use them for research. 18% of the time is spent on searching for the best banks while on internet. Visit the website and fill the details. Get a solution to all these questions. Truly a reliable, economical, one-stop solution. Is home loan a good thing? If you plan it well then the Home Loan is good and you can be loan free faster. If you haven’t plan it well then assert backed by a big liability. How to plan your Home Loan well ? First based on your financial needs, you need to opt for minimum loan. Start with right EMI. If you are capable of paying more toward EMI, always pay more. Increase your EMI every year by at least 5%. Your 20 years loan will close in 15-years. If you increase by 10% then your 20-years loan will close in 11-years. When ever you get bonus, make a part-payments. Very important point, when ever the rates are changing, you need to check if you are paying more. In case you are paying more than get it corrected to new rate. This save 20–30% of loan amount. For example 50-lac loan with 0.50% more interest rate will pay 30-EMIs extra and almost Rs 15 lac more. It’s like buying a car. If you maintain it well, it will run well. If not you would continue to pay heavy maintenance bills. 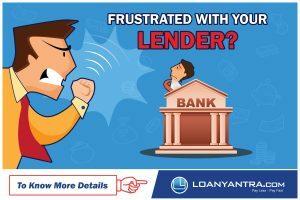 LoanYantra | Get Home Loan Online is India’s First Home Loan Management Company which will help the customers find the right home loan and after that help in Managing the Loan. It helps in closing the loan faster. Author Vijayananda ReddyPosted on March 29, 2017 October 1, 2018 Categories Home Loan, Hot Tips, LoanyantraTags Home Loan, home loan process, Home Loan TipsLeave a comment on Is home loan a good thing?